The Oge House, 209 Washington St, is a 3 story AnteBellum Mansion located on 1.5 acres of gardens directly on San Antonio's famed Riverwalk. 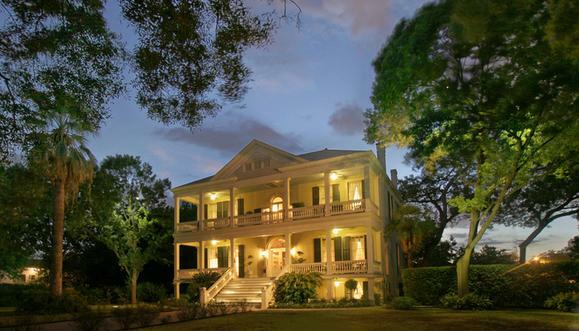 Built in 1857, this gem is San Antonio's only AAA 4 diamond inn. 10 luxurious rooms/suites are furnished with beautiful antiques and every modern amenity.